Was Dietrich Bonhoeffer a Pacifist or a Conspirator? Today’s post is a supplement to yesterdays. Much has been written on Dietrich Bonhoeffer, who on the one hand was a pacifist, and on the other hand, was involved in the resistance that actively sought to remove Adolf Hitler from power. This is an intriguing area of his life because there seems to be a contradiction between Bonhoeffer before he joined Abwehr in 1939 and Bonhoeffer after he joined Abwehr. Abwehr was the “counterintelligence agency of the armed forces in Nazi Germany.” Many members of Abwehr were part of the German resistance movement that provided “cover-ups for the resistance activities.” Abwehr also actively plotted for the assassination of Adolf Hitler. Bonhoeffer was a civilian member of Abwehr from 1939 until his arrest in 1943. How is it that this man, neither born nor educated for conspiracy, nevertheless moved through many forms and stages of passive and active resistance, including conspiracy, until he was hanged for his participation in the plot to end the reign of Adolf Hitler? How is it that he, so self-consciously an admirer of Martin Luther, departed from almost all his Lutheran colleagues in sounding pacifist themes and carrying out conspiratorial deeds? Where, if anywhere, does the intense experience of the prewar and war years come to expression in Bonhoeffer’s writings, writings that evidence so little explicit treatment of resistance? Where do the threads run between Bonhoeffer’s resistance activity, on the one hand, and his theological reflection and ethical decisions, on the other? And is understanding Bonhoeffer the gentle resister crucial for understanding Bonhoeffer the pathfinding theologian? Interpretations of the life and thought of Dietrich Bonhoeffer are like the answers elicited by a Rorschach test—no two commentators see the same things…What Bonhoeffer really meant and what he would have said had he lived has become a wide-open pastime, little previous experience required. By midsummer of 1933, Hitler was master of Germany. The Lutheran Church fell quickly under his spell. The socialist party within the church, soon known as the German Christians, won elections in July, and nominated Ludwig Muller, handpicked by Hitler, Reich Bishop. Bonhoeffer made his way to Gestapo headquarters for the first time, already questioning the compatibility of loyalty to Jesus Christ and membership in a church that, in his mind, had lapsed into heresy. The Fuhrer calls, we gladly rejoice. The day before us, and our strength is God. One of the Fuhrer’s first tasks was to purge Germany of people with Jewish ancestry. On April 1, 1933, there was a national one-day boycott of Jewish owned businesses in Germany. Six days later, the Aryan Civil Service banned all people of Jewish ancestry from employment in civil service, including jobs with the state and church. This became known as the “Aryan Clause”. Later that month, Bonhoeffer addressed a group of Berlin pastors who met monthly to discuss theological matters. His address, which later published as “The Church and the Jewish Question”, was the first public response to the church’s responsibility to the Jews in society. Dietrich gave the rest of his lecture to an almost empty room. His demand that the church must be prepared for political resistance had flabbergasted most of his audience. With this attitude, Dietrich remained alone in his church. During these years, a fresh theological problem emerged, one which would demand Bonhoeffer’s complete attention in the later writings. The question of Church and world was never a major concern for Luther; and although liberal theology prided itself on exploring the relationship, Bonhoeffer had never agreed with the approach taken by this school. The question became urgent during the Nazi regime: how should the church respond to the Jewish persecution, the nation’s preparation for an aggressive war, the intoxication of the people with a dangerous leader? Bonhoeffer realized that a major reason for the failure of the Confessing Church in Germany was a lack of theological doctrine of Church and world. Worse: the absence of such a doctrine forced upon the Church an unreal notion of itself which was, as Bonhoeffer later suggested in his prison letters, essentially self-destructive…his writings of the period between 1932 and 1936 show a recurring questioning of the relationship, and a circling effort to define the problem. According to Bonhoeffer, the movement from life in the Christian community to service of one’s neighbor is the only one true movement toward God that God’s gift of faith makes possible. He argues, moreover, that the demand for spontaneity in one’s response to people in need makes it impossible to produce a systematic ethic. Every changing situation of need can become the specific locus of God’s command. …his thoughts…became conditioned by the reality of an entrenched, seemingly insurmountable evil that no ordinary means, least of all that of pacifism, appeared capable of nullifying. The times called for another approach, one inspirited by his practical sense of responsibility for the victims of Nazism and his trust in the incarnate presence and forgiving power of Jesus Christ. But what about that most intriguing journey of all, from a committed Christian pacifism to Christian participation in tyrannicide and coup d’etat? What explains Bonhoeffer’s twisting path of resistance in the Church Struggle and in the military-political conspiracy? Does this journey, varied in form and perhaps contradictory and ethically problematic, also belong and hold together? Although the peacemaking dimensions of Bonhoeffer’s Christian spirituality seemed muted by his arguments in Ethics in favor of tyrannicide and violent interventions to the end of the war, in truth Bonhoeffer’s reliance on Jesus Christ’s example and mandates of responsibility never ceased to be his primary motivating force. Hence, however, it is the Christ who lives and acts for others, to take on the guilt of sinners. He who did not hesitate to place his healing touch upon the rotting skin of lepers, to associate with the hated Samaritans, to become one of society’s deviates and outcasts of all sorts, now sets the example for those who must enter into the sinful, guilt-ridden world of a political conspiracy. To act on behalf of the victims of the widespread suffering inflicted by Nazism militaristic bloodletting meant that law-abiding citizens had to break the laws and plan the violent death of a dictator. …Dietrich Bonhoeffer’s resistance activity was his Christology enacted with utter seriousness. Bonhoeffer’s resistance was the existential playing out of christological themes. Changes and shifts in his Christology were at the same time changes and shifts in the character of his resistance. In the other direction, changes in his resistance activity had an impact on his Christology. 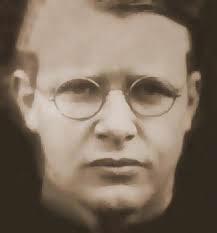 Bonhoeffer’s varied responses corresponded to the three possible responses of the church he outlined in his address, “The Church and the Jewish Question” in April of 1933. In the early years, Bonhoeffer’s response resembled “something of a ‘pacifist.’”  But as the historical conditions changed, Bonhoeffer reacted accordingly. For example, Bonhoeffer eventually was involved in smuggling Jews out of Germany. He was a civilian member of Abwehr from 1938 until his arrest in 1943. This was the German Intelligence Service. Bonhoeffer’s brother-in-law, Hans von Dohnanyi, a staff member of Abwehr, recruited him as a front for exemption from being drafted into the military. This gave Bonhoeffer an appearance of loyalty to the Nazis. The historical moment made that third alternative for Bonhoeffer an imperative…In terms of the historical moment, then, Bonhoeffer’s transition to conspiracy against the government is not a total reorientation…What Bonhoeffer did when he became involved in the Abwehr circle makes sense in terms of what he always believed and hoped in. For he believed more deeply in relating to the present, in identifying the concrete needs of the moment, than in simple pacifism. Bonhoeffer embraced pacifism largely because it held a tactical advantage: it answered a need. But the coming of the War made pacifism an individual (and highly risky) decision, and by obliterating the very peace which Bonhoeffer had struggled for, made his style of pacifism somewhat obsolete. And obsolescence was something which Bonhoeffer instinctively abhorred. Another motivation may figure in, Bonhoeffer’s growing disappointment with the Confessing Church. In the late 1930’s an effort had been made by Reich Church and Confessing Church leaders to consolidate the two churches. Bonhoeffer had violently opposed the effort. And though it failed, the attempt seriously weakened the Confessing Church—to the point at which its leaders were far more worried about its stability than the salvation of the people it was intended to serve. Had the Confessing Church actually done what Bonhoeffer hoped it would do—sharpen consciences, stimulate critical thought about German life under the regime, identify the imperatives of discipleship to Christ in the present—then very possibly Bonhoeffer never would have had to enter the resistance. Out of this context, out of these motivations, Bonhoeffer took part in a conspiracy to end the Third Reich. A man who loved his country and could not bear to see it drag Europe into another holocaust; a man who disappointment with earlier causes made him realize that the times called for action of heroic and desperate proportions; a man whose commitment to pacifism followed from a deeper commitment, which led him in time to resistance: this was Bonhoeffer. Without taking a dogmatic position, perhaps we can say that Bonhoeffer fairly consistently maintained a strong Christian aversion to the use of violence, accepting its inevitability only as a last resort. This leaves aside the question of the criteria by which believers recognize whether last resort conditions are met. What we can say with real confidence is that Bonhoeffer found retreat from the concrete problems on humankind on supposed Christian or theological grounds intolerable. Better to sin boldly and let grace abound (Luther) than to welcome and enjoy the benefits of Hitler’s assassination by others while smugly adoring and displaying one’s own ostensibly clean hands! Bonhoeffer’s pacifism accepted agonizing participation in violence, asking for forgiveness all along the way but refusing to stand by and let nonbelievers do the dirty work. But by, 1938, given the mood for compromise, the drive for civil legitimation, and the rise of a national patriotism, then eroding Confessing Church resistance, Bonhoeffer had been edged past mere church agitation toward the more murkier actions demanded by a political-military conspiracy. Among the “murkier actions” was Bonhoeffer’s silence in ecclesiastical circles. The reason was that his involvement with Abwehr allowed him to be aware of “damning information from the conspirators.” The sharing of this information would certainly put his peers in danger. Bonhoeffer was also instrumental in the implementation of a top-secret plan to assist the smuggling of Jews out of Germany, referred to as “Operation 7.” Three times he crossed the border himself to Switzerland, connecting with key ecumenical figures such as Karl Barth, W. A. Visser ‘t Hooft, and others. He was able to make several important contracts for the resistance. Together with Helmut Count von Moltke, he also traveled to Norway under the auspices of the Abwehr. In this secret rendezvous, Bonhoeffer relayed to the bishop precise information, including names of key resisters in the German underground. The hope was that Bell would transmit this important message to the British Foreign Secretary Anthony Eden, thence to Prime Minister Winston Churchill and further to Franklin Roosevelt. It was hoped that the Allies would initiate a contract with the resistance, negotiating a compromise peace after Hitler had been overthrown in a coup. There was no return message by Allied leaders. The “unconditional surrender” policy of the Allied leaders seemed set in stone, much to the consternation of the resistance movement and also at great cost of life during the final two years of the war. However, the Gestapo learned that Abwehr was using Jews as military agents. This led to an investigation into “Operation 7”. In October of 1942, Abwehr agent, Consul Wilhelm Schmidhuber was arrested. He was one of Bonhoeffer’s superiors. During interrogation, “Bonhoeffer’s name had surfaced.” This eventually led to the arrest of Bonhoeffer in April of 1943. He was thirty-seven years old at the time. What lies behind the complaint about the dearth of civil courage? In recent years we have seen a great deal bravery and self-sacrifice, but civil courage hardly anywhere, even among ourselves. To attribute this simply to personal cowardice would be too facile a psychology; its background is quite different. In a long history, we Germans have had to learn the need for and the strength of obedience. In the subordination of all personal wishes and ideas to the tasks to which we have been called, we have seen the meaning and the greatness of our lives. We have looked upwards, not in servile fear, but in free trust, seeing in our tasks a call, and in our call a vocation. When that happened, the exercise of the calling itself became questionable, and all the moral principles of the German were bound to totter. The fact could not be escaped that the German still lacked something fundamental: he could not see the need for free and responsible action, even in opposition to his task and his calling; in its place there appeared on the one hand an irresponsible lack of scruple, and on the other a self-tormenting punctiliousness that never led to action. Bonhoeffer immediately counters an ethic in which unbound freedom is normative. Certainly the man of unbound freedom knows the necessary deed and practice the art of compromise as well. He might also be clearly cognizant that compromise may prove the wrong tack and that a fruitful radicalism may be the demand of the hour instead. He is free to move in any and all of these directions…Bonhoeffer falls short here of his standing criticism of an ethic that makes free responsibility normative, i.e., an ethic that ignores law as a generally binding boundary…he concludes that the exceptional act must never be made the normative one, that necessity must not become a principle. We are not Christ, but if we want to be Christians, we must share in Christ’s large-heartedness by acting with responsibility and in freedom when the hour of danger comes, and by showing a real sympathy that springs, not from fear, but from liberating and redeeming love of Christ for all who suffer. Mere waiting and looking is not Christian behavior. The Christian is called to sympathy and action, not in the first place by his own sufferings, but by the sufferings of his brethren, for whose sake Christ suffered. The essay is a reminder of the ideals for which they were joined in the struggle. They could derive satisfaction only from the example of Christ in his willingness to suffer for others and in that remarkable solidarity with the oppressed that had continued to animate their decisions to deliver their nation from Nazism. There certainly was a progression in Bonhoeffer’s actions from 1933 to 1943. This progression was, again based on the three responses he outlined in the 1933 essay, “The Church and the Jewish Question.” The conditions in Germany and Europe eventually reached the point where it was necessary to jam the wheel. Bonhoeffer knew that murder was morally wrong. Yet, Hitler was guilty of horrifying massacres of countless Jews and others. When Bonheoffer realized the gravity of terror inside the walls of the Nazi death camps, he concluded that he could no longer passively sit and watch millions of innocent people die because of the evil of Hitler. In 1939 when the Confessing Church in Germany lost her backbone to stand up to Hitler, Bonhoeffer joined the resistance. His activities within the Abwehr progressed to the point of committing treason. By 1940, Bonhoeffer believed that his involvement in the conspiracy to remove Hitler from power was the only path that “made any sense.” Yet, Bonhoeffer was always careful to make sure that his devotion to Christ was the overriding reason to take such a path. In the same way that Jesus suffered and died for the oppressed, they sacrificed their lives for the sake of the oppressed. Bonhoeffer, thus, identified with Jesus through his own suffering and eventual execution. Kelly and Nelson, eds., Dietrich Bonhoeffer: A Testament of Freedom, 543. Larry L. Rasmussen, Dietrich Bonhoeffer: Reality and Resistance (Louisville: Westminster John Knox Press, 2005), 11. Haynes, The Bonhoeffer Phenomenon: Portraits of a Protestant Saint, xvi. Kelly and Nelson, eds., Dietrich Bonhoeffer: A Testament to Freedom, 532. Kelly and Nelson, The Cost of Moral Leadership: The Spirituality of Dietrich Bonhoeffer, 17. Devine, Bonhoeffer Speaks Today, 14. Rene Wind, Dietrich Bonhoeffer: A Spoke in the Wheel (Grand Rapids: William B. Eerdmans Publishing Company, 1991), 66. Wind, Dietrich Bonhoeffer: A Spoke in the Wheel, 69. Kuhns, In Pursuit of Dietrich Bonhoeffer, 60. Kelly and Nelson, eds., Dietrich Bonhoeffer: A Testament to Freedom: 343. Kelly and Nelson, The Cost of Moral Leadership: The Spirituality of Dietrich Bonhoeffer, 112. Rasmussen, Dietrich Bonhoeffer: Reality and Resistance, 8. Rasmussen, Dietrich Bonhoeffer: Reality and Resistance, 15. Kuhns, In Pursuit of Dietrich Bonhoeffer, 228. Kelly and Nelson, The Cost of Moral Leadership: The Spirituality of Dietrich Bonhoeffer, 28. Kelly and Nelson, eds., Dietrich Bonhoeffer: A Testament to Freedom, 543. Kelly and Nelson, eds., Dietrich Bonhoeffer: A Testament to Freedom, 132. Kuhns, In Pursuit of Dietrich Bonhoeffer, 229. Christian History Institute—Glimpses Bulletin Issue #63. Devine, Bonhoeffer Speaks Today, 137-138. Kelly and Nelson, eds., Dietrich Bonhoeffer: A Testament of Freedom, 482. Wind, Dietrich Bonhoeffer: A Spoke in the Wheel, 152. Devine, Bonhoeffer Speaks Today, 30. Kuhns, In Pursuit of Dietrich Bonhoeffer, 114. Rasmussen, Dietrich Bonhoeffer: Reality and Resistance, 63. Rasmussen: Dietrich Bonhoeffer: Reality and Resistance, 65. Dietrich Bonhoeffer, Letters and Papers From Prison, 14. Rasmussen, Dietrich Bonhoeffer: Reality and Resistance, 66. Kelly and Nelson, eds., Dietrich Bonhoeffer: A Testament to Freedom, 483. Well done. Very applicable to the state today’s church in the U.S. Would to God more preachers be as Bonhoeffer – a man of guts and conviction. Very relevant in the Age of Trumpism. Reposting link to Facebook. In the article the author notes that Bonhoeffer gave a talk to a group of pastors in April 1933 that was later published as “The Church and the Jewish Question.” In it, he said that the church can respond to actions of the government of the region in which the church exists in three ways. First, it can call on the government properly to bear its responsibilities. Second, if the government brings harm to people, the church can seek to aid the victims. And third, the church has a responsibility to thwart the government’s actions that have brought harm to people through either failing to bear its responsibilities properly or through intentional acts that, though, perhaps, legal because of the passage of laws that allow it, are morally and ethically condemnable. Donald Trump’s Administration and the Republican-controlled Congress, not to mention many Republican governors and Republican-controlled state legislatures, have done great harm to a variety of persons as well as to the standing of the United States in the global community. Calls have been put out from various quarters for the Administration to cease activities that have brought harm to people and to our traditional allies while seeking to give comfort and aid to our enemies and governments in other nations who bring harm to their own people, The Administration has become lawless, and a law unto itself. Thus, the question comes to the church, in what way might resistance to a lawless government be enacted, so that the government is hindered from pursuing the course that is bringing harm to many people and making the world a more dangerous place in which to live? In what ways has the Trump administration hurt people–besides with his crazy tweets? 5. And his “crazy tweets” are often encouragement for the kind of bullying experienced by people of color, people who speak English with an accent, people who speak their non-English mother tongue in private conversations with each other in public, people who wear clothing that relates to their culture of origin or their non-Christian religious commitments, or people who exhibit any number of other signs of “difference” that Trump supporters find offensive to the point of demeaning or threatening them for no good reason, making our country much more divided and unwelcoming to many across the world. And many of these supporters call themselves “Christian” – as Trump also claims himself to be – without any sign in such circumstances of the love of neighbor to which Jesus calls us all.